Why Use Block & Associates Property Management? Courtesy of Block Realty & Associates, Taylor Farley. Available 4/19/19! 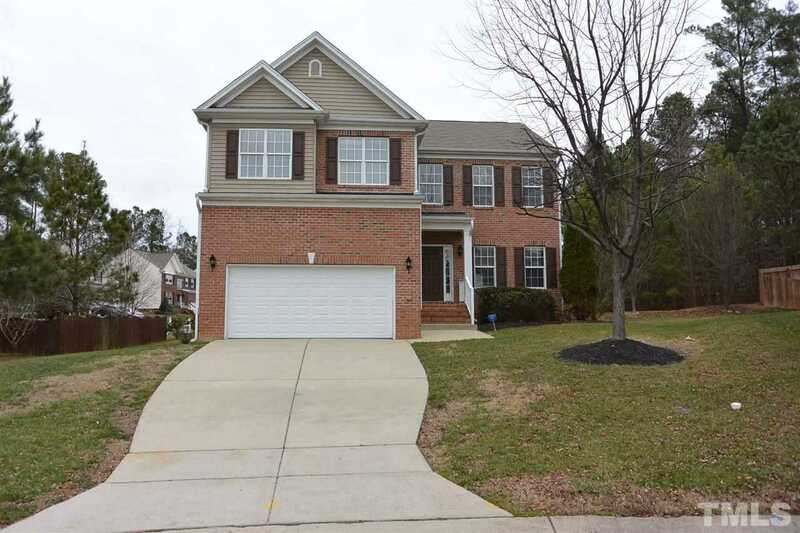 Great 5 bedroom home in Apex! Hardwoods throughout main level. Separate living/dining areas. Gourmet kitchen with stainless steel appliances and granite countertops overlooks family room with gas fireplace. Huge master suite with WIC, dual vanity, tub/separate shower. 4 additional bedrooms upstairs. Great cul-de-sac lot with fenced back yard near shopping and highways. Welcome Home!! © 2019 Block & Associates Realty. All Rights Reserved. Real Estate Website Design powered by Home Junction.